Congratulations, you’ve snagged yourself a brand-new iPhone 5. But before you get to playing with your new device, you’ll probably want to get to know it and set it up. Thanks to iOS 6’s step-by-step activation process, Apple’s made it pretty simple to get started; but just in case you need some extra help, we’ve put together a comprehensive guide for activating your new iPhone, transferring data from your old phone, and some suggestions for exploring its new features. 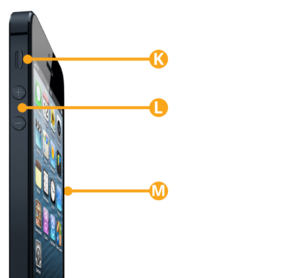 Get acquainted with the iPhone 5’s hardware features: every button, switch, slot, port, and plug. Designed with a minimalist aesthetic, the aluminum-and-glass iPhone 5 eschews a button-heavy design in favor of simple controls and a slim figure: It’s a mere 7.6mm thick and weighs only 112 grams. Here’s a quick rundown of all the features on the device’s exterior. The new iPhone sports a diagonal 4-inch Multi-Touch display, an improvement over the previous iPhone’s 3.5-inch display; those touch sensors are integrated directly into the display, reducing sunlight glare and keeping the iPhone’s figure slim. Its 1136-by-640-pixel Retina display packs 326 pixels per inch into the space allotted. The display is made from optical-quality glass, which makes it highly scratch resistant. 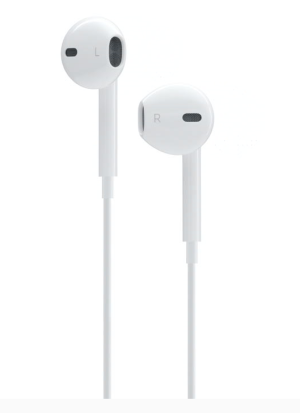 It also has an oil-resistant oleophobic coating that makes it easy to wipe off smudges. Single-Press: A single-press of the Home button can have several results, depending on what you’re using the iPhone for at the time: If the phone is in sleep mode, pressing the Home button wakes the iPhone; if you’re in an app, it returns you to the home screen; if you’re on a subsequent home screen page, it returns you to the first page; and if you’re on the first home screen page, it brings you into the iPhone’s Spotlight search mode. 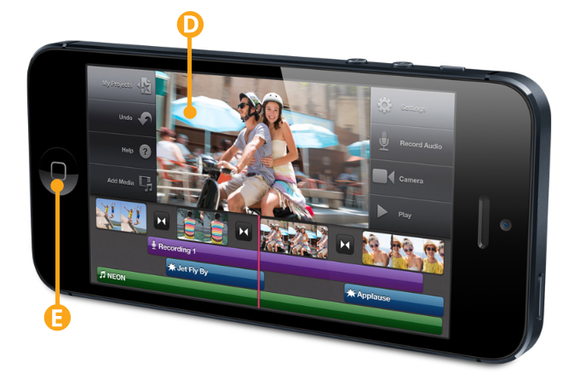 One of the iPhone 5’s three microphones is located on the bottom left of the device. (The other two, which are designed to filter out noise, are located on the front and back.) Unless you’re using an external microphone, you’ll speak into these when making calls, recording voice memos, talking to Siri, and more. The iPhone uses Apple’s new Lightning dock connector to connect to your computer and other accessories. Unlike the 30-pin connector, it’s reversible, so you can plug it into your phone in either direction. As this is one of the first Apple devices to use a new connector, it won’t work with older third-party accessories without an adapter. On the bottom right of the new iPhone is a small speaker that’s responsible for projecting speakerphone calls, music, movies, game noises, and any other miscellaneous noise. Because your device has just one speaker, it plays all audio in mono (on a single channel). On the back of the iPhone 5 is the second of two cameras, as well as an LED flash. The camera sports an 8-megapixel CMOS backside illumination sensor, which snaps pictures at 3264-by-2448-pixel resolution. (In real-world terms, that would translate to a high-quality 8-by-10-inch glossy print.) An attached hybrid IR filter provides better color accuracy, while the f/2.4 aperture offers improved low-light performance. The iPhone 5 camera sports a sapphire lens cover for sharper images. The iPhone’s back camera also captures 1080p high-definition video at up to 30 frames per second, with real-time video image stabilization and temporal noise reduction. The Ring/Silent switch—found on the left side of the device—does pretty much what you’d suspect: Flick it backward to silence the phone, forward to activate the ringer. When you switch to Silent mode, you reveal a small orange stripe on the switch, and your device vibrates. Silent mode silences only rings and alerts, however; you can still play music and game sounds through the speaker. Directly below the Ring/Silent switch is a pair of volume buttons. Press the plus-sign button (+) to increase volume and the minus-sign button (–) to decrease volume. In the Settings app, you can choose whether these buttons affect only noises from an app, or whether they control systemwide sounds as well. 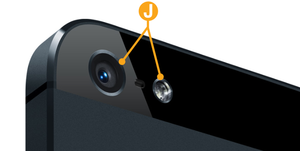 In the Camera app, the plus-sign button also works as a physical shutter button. The new iPhone can operate on multiple cellular bands, thanks to its dynamically switching on-board radio: various bands of the LTE cellular data standard, HSPA+, DC-HSDPA, GPRS, EDGE, CDMA-EvDO, and HSPA. 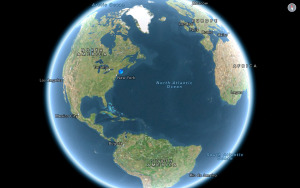 Major U.S. partners for the iPhone 5 include AT&T, Sprint, and Verizon. When you purchase a new iPhone, you can do so in one of two ways: with a cellular carrier contract or contract free. The first option lets you receive a significant discount on the phone, but you have to use your iPhone solely with that carrier for two to three years, depending on your carrier and region. Contract-free phones allow you to use any carrier’s pay-as-you-go plan but are several hundred dollars more expensive up front. Either way, you’ll need a carrier to talk on your iPhone and use cellular data. If you have a contract-free phone and need to install a nano-SIM—or you need to access your current nano-SIM card—you can remove it by sticking one end of a paper clip into the hole next to the SIM card slot. Single-Click: Clicking the center button of the remote once while listening to music or watching a video pauses playback; if you’re receiving a call, a single-click answers it, and another single-click hangs up when you’re finished. Single-Click and Hold: When you’re receiving an incoming call, a single-click and hold declines the call and sends it directly to voicemail; while you’re on a call, you can do this to switch to a secondary call. Otherwise, holding down on the remote activates Siri.